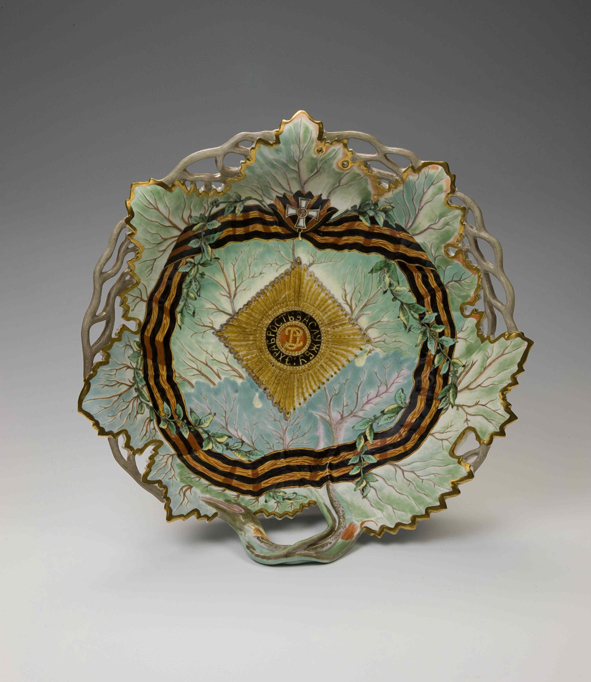 The exhibition presents the porcelain masterpieces of four dinner services used by Catherine the Great from the precious collection of the State Hermitage Museum of Russia. The porcelain services used are the products of Meissen, Sevres, and other famous porcelain factories throughout Europe. 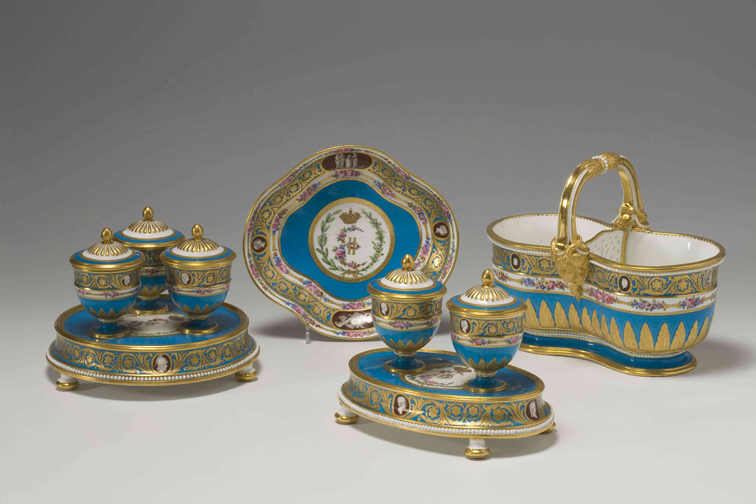 These services symbolizing the empress, Catherine the Great’s life are shown with accessories and other personal items that she herself used and loved. 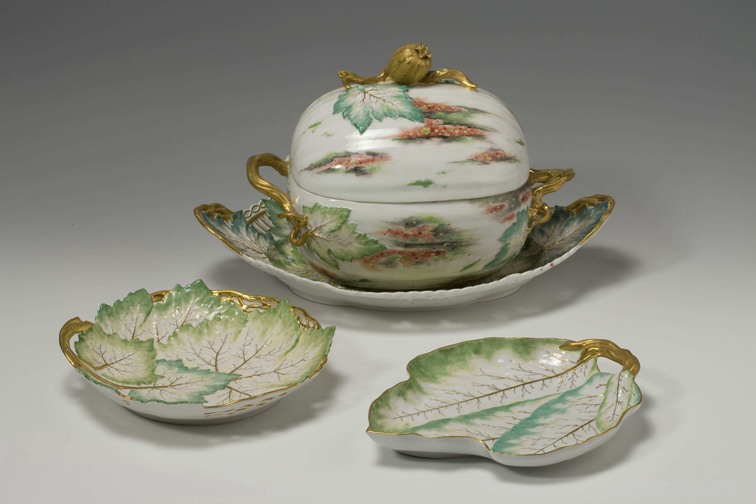 The Berlin Dessert Service was given to Catherine the Great by Frederick the Great of Prussia. The production of the renowned Royal Porcelain Manufactory, Berlin, it was devoted to the Russian victories in the Turkish war, thus demonstrating Europe’s recognition of Russia’s power and the success of the empress, who had been a petty German princess shortly before. The Green Frog Service was commissioned by Catherine the Great from the great porcelain maker Josiah Wedgwood of England. A fog motif that appears on the service pieces was the emblem of one of Catherine’s palaces. The service was a kind of encyclopedia of British views, castles, palaces, churches, ancient monuments, landscapes and parks. It was　an excellent token of the Russian elite’s love of England, her political system and artistic tastes. The Cameo Service from Sevres Royal Manufactory was Catherine the Great’s gift to her favourite, Prince Grigory Potyomkin. 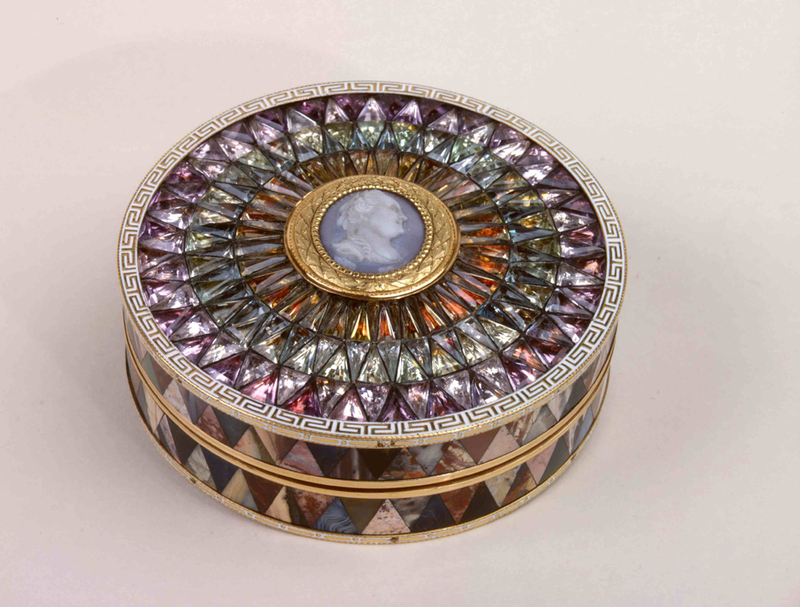 The service items were decorated with classical antiquity cameos reflecting the empress’s love of carved gems, a passionate collector of which she was known to be. The Order of St. George Service is one of the four Order Services created to express the recognition of the achievements of the Russian armed forces. The services were to be used at the Winter Palace receptions in the honor of the Knights of the four highest Orders in Russia, the most important of these being the Order of St. George. The services were made by Francis Gardner’s factory near Moscow. Lion Corporation, Shimizu Corporation, Dai Nippon Printing Co.,Ltd.